Oiropa: AIR INDIA - A refreshing experience !!!! 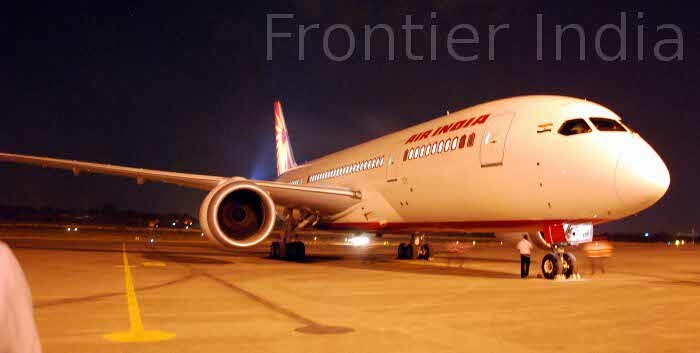 AIR INDIA - A refreshing experience !!!! Few days ago, sometime in Oct when I booked a ticket via our Flag carrier AI, I was very skeptic about many things and just hoped that the things have gotten better than my last travel about two years ago to Singapore which was rather unpleasant in many ways. We found a "nail" in the cold sticky so called Pongal, the food was horrible and tasteless, so were the crew taking care of the passengers on board. The aircraft was badly maintained, torned seats where the push back option was just a mere button and nothing more. The seating area was very dull, unclean and we also came across a window which had a very tiny hole in it, blowing air right into one of my friends face.Also the inflight entertainment system was not upto the mark. Except for couple of radio channels, we had nothing to get ourselves entertained with. Seeing all these, I was not surprised to see more than 60% of the seats unoccupied.!! And now.....To my surprise, as I stepped inside,the flight was jam packed and more than 50% of the travellers were non Indians which immediately gave out some positive air. The International routes have brand new aircrafts. I travelled by the new Boeing 787 Dreamliner which boasts of having a composite fuselage and thereby increasing the fuel efficiency upto 20 % greater distance as it reduces the overall weight of the aircraft. It is also considered to be the most environmentally freindly aircraft in the world. The crew also boasted about having a knob by which one could control the tint on the window. The lighting inside was very refreshing and was similar to the outside environment designed to comfort the passenegrs to acclimitize very quickly to the jet lags. The seats in the economy section was also very spacious with 3*3 rather than the usual arrangement of 3-4-3. The crew on board have undergone some sort of traing program I guess ! all of them were surprisingly were warm and friendly. Considering the flight to be a 7 hour deal, I expected a good inflight entertainment service. Although the screens were not glare free, but the system as a whole has had a major upliftment with some latest movies and songs on board specially in the Indian category. They could do better in the English dept is what I felt, may be add some good Sitcoms and National Geographic documentaries apart from just movies thereby adding some more choices to the flyers. Coming to the food, I gotta admit, I had some very good Indian food that night. Hot Indian curries with rice and vermecelli payasam. The paneers were also fresh ones used in Palak sabji and to my surprise, they had ample choices in the drinks dept & were also pretty generous!! I guess they could have done better in the breakfast and given out hot idlis or upmas rather than just bread-butter. Also felt they can reduce some cheapness by not diluting the coffee too much. 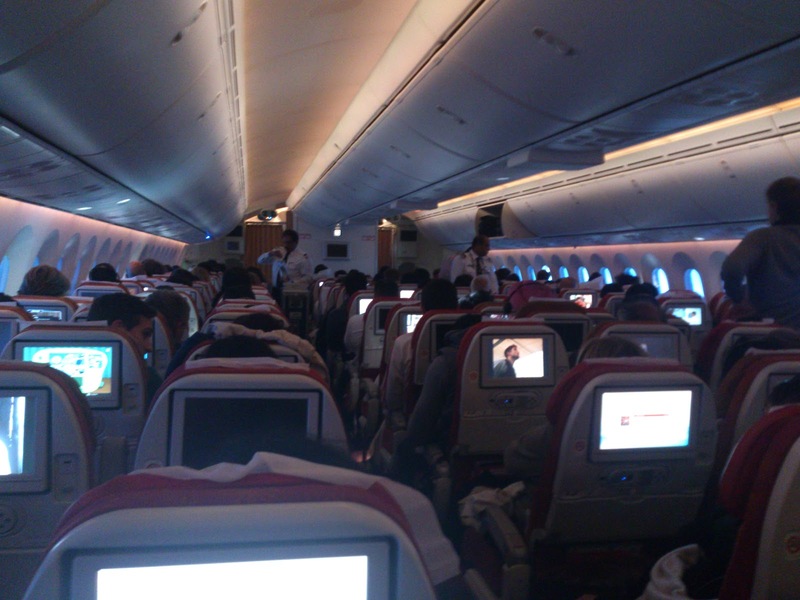 In all I felt, it was a good experience when compared to Etihads and Emirates. I'd choose AI any day over the others if the airline continues to operate in this fashion. I also hope my other Indian fellow travellers come out of this mindset of AI to be a bad airline and choose more often to fly with our National carrier thereby increasing the revenues of the same and also developing a brand name which I sense has a lot of potential to becoming one of the best Airline.